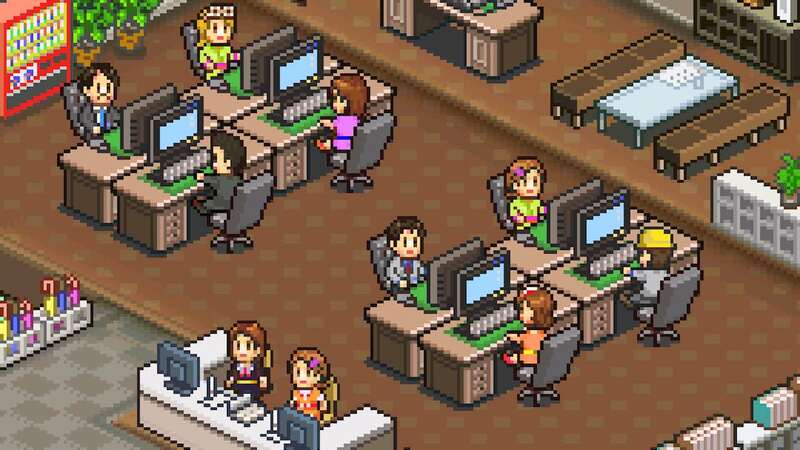 Kairosoft has announced that Game Dev Story and Hot Springs Story will release on Nintendo Switch, their simulation games in which you have to manage your own game company or holiday resort. Japanese Nintendo reports that both games will be at Tokyo Game Show 2018, which takes place at the Makuhari Messe between Thursday 20th – Sunday 23rd September. In Game Dev Story you will be challenged to create a million-selling game, hiring and training employees to develop their skills while developing games for different consoles. Whereas in Hot Springs Story you will build rooms, restaurants, arcades and baths to make your resort as entertaining as possible for your guests. Game Dev Story and Hot Springs Story will release on the Nintendo eShop for Nintendo Switch worldwide.